I made quite a few goals for myself for this new year. A lot of them involve to-be-completed projects. In this post I want to show you all of the things I want to complete in the next few months. It is not an incredible amount, but the projects will be increasing in number as time progresses and I learn to knit faster. 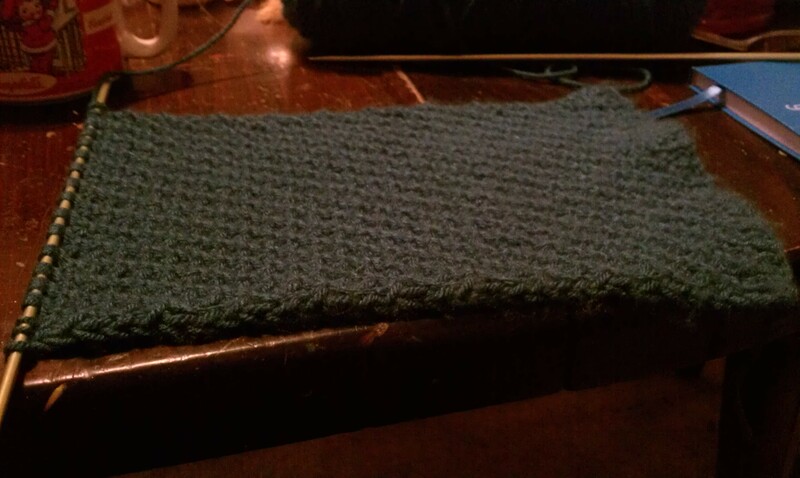 Of course, my first tbc project is the scarf I am making for my boyfriend. I have at least thirty more inches to go. It is growing a little bit longer every day. This is an older photo, but it is going to look the same the whole way through; the only thing changing is the length. Still hoping to have it done by Valentine’s Day. My second tbc project is a commission that was given to me by a dear friend of mine. I will be knitting her a big hat with a pom pom on top and will be arm knitting an infinity scarf, per her request. 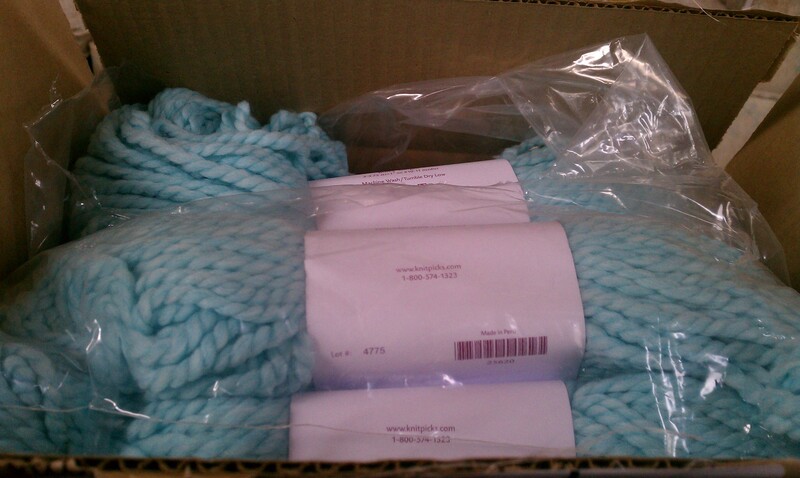 This is the yarn I will be using. 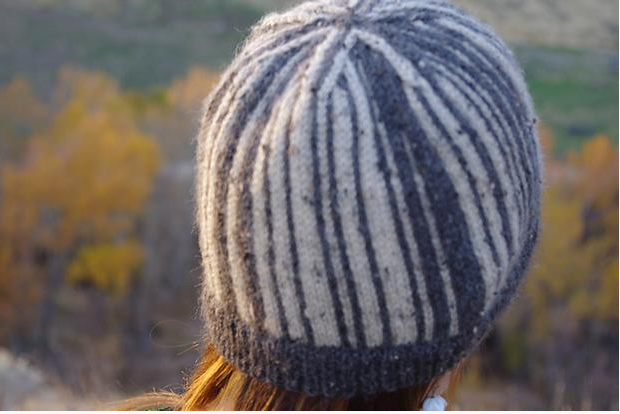 The third project I want to complete is a hat I originally saw on the head of a random stranger in the health food store I usually go to. I was happy to come across the pattern on ravelry a few days ago. This will be a stash project. 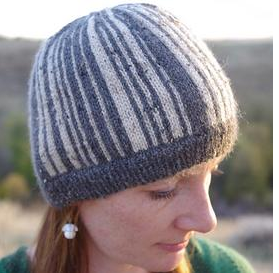 I have to have enough yarn in there for this hat… I just have to! 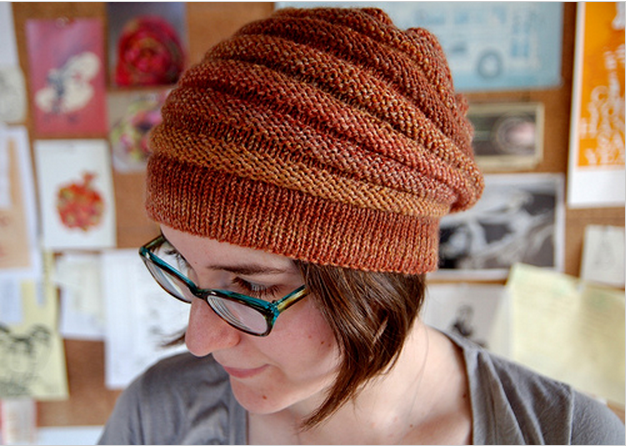 (picture is from verabee on flickr) The name of the pattern is called Wurm and it was designed by umschlagplatz.at. These two images are from the Knitpicks website. It is the Equilibrium hat, but I will not be using those colors. I will be using Tarantella and Snowshoe in the City Tweed DK yarn. Along with all of my knitting projects, I have also set aside a monthly writing goal for myself. Quality and quantity are both something that matter a great deal to me; so I have decided that I will write ten pages a month. It may result in me writing more than that, but only time will tell. I will settle for any writing as well. Whether it is ten pages of my novel or ten pages of something smaller, I shall be perfectly content. My passion is writing and I want it to be a part of my life again. I used to write a good deal and I barely write at all anymore. This blog has helped me get out of my slump, and for that I am extremely thankful. There is my to-be-read list, but I am saving that post for next week. It will be quite lengthy and I hope some of you look forward to it.